Gran Canaria – from many European airports. Island mix from the whole list, optionally add a sailing week. 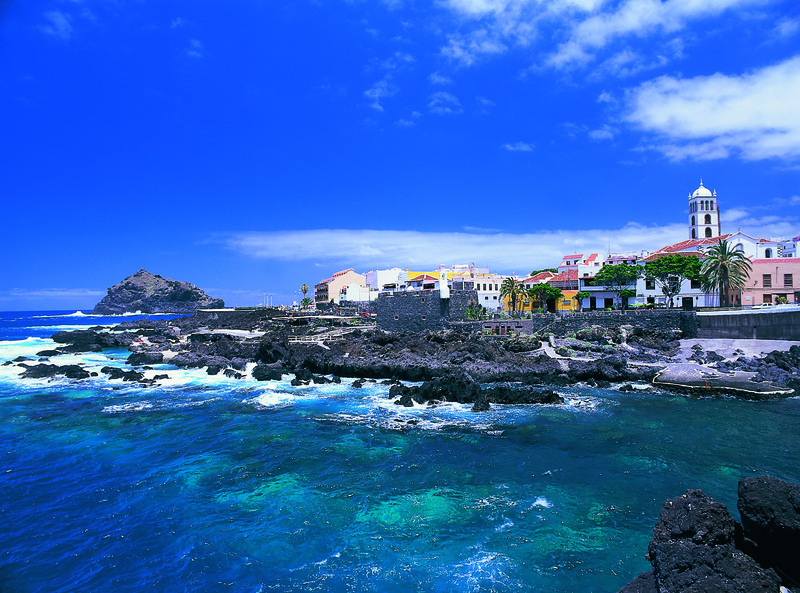 Tenerife – from many European airports. Fuerteventura – from many European airports. 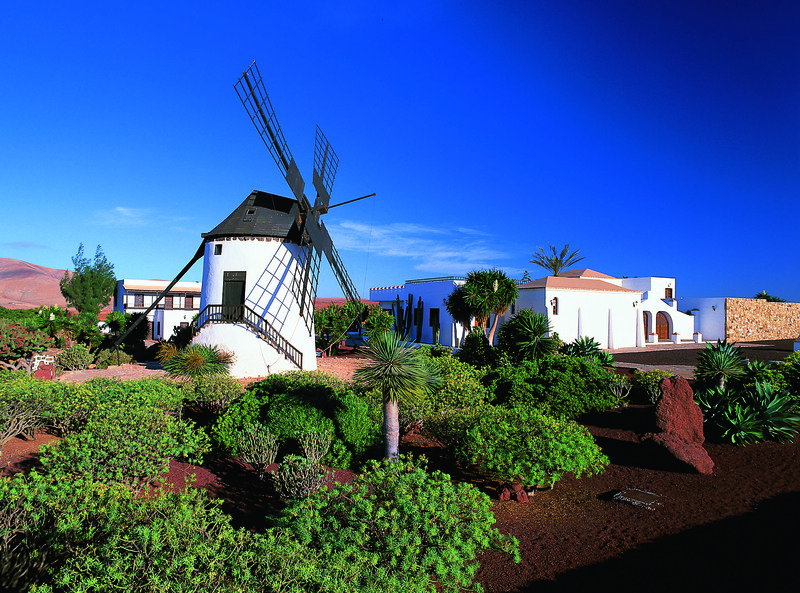 Lanzarote – from many European airports. La Palma – from many European airports. Experience island hopping on your favorite islands, or mix your tour with sailing. (“Open jaw flights” are possible, for example, outbound flight to Gran Canaria, and return flight from La Palma). Decide what is best for you and mix the desired hotels with sailing, days for relaxation or adventures and the duration of your stay. Create your own tour: Get more information about ‘Popular Canary island combinations’ or directly click on ‘Request’ to mix your tour. Which Canary islands should I choose? Which beaches? Which regions? 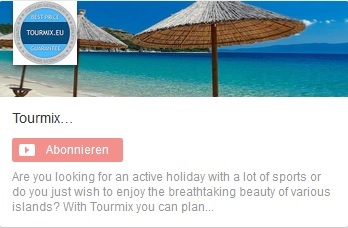 Choose, what is important to you: Please click on Request to start mixing your personal tour. Why are the Canary islands a dreamlike holiday destination? The Canary Islands form a Spanish archipelago with seven main islands, namely Tenerife, Fuerteventura, Gran Canaria, Lanzarote, La Palma, La Gomera and El Hierro. It also includes a couple of small islets, among La Graciosa, Isla de Lobos and Alegranza. 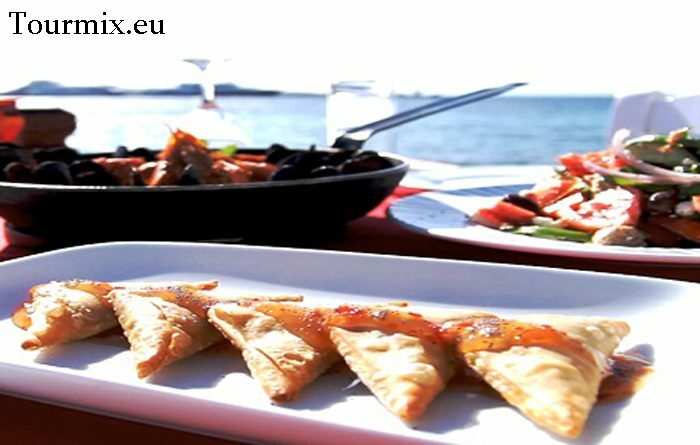 Situated just off the southern coast of Morocco, at a distance of about 100 kilometres (62 miles), they belong to the outermost regions of the EU. Due to their location in the path of the Canary current, a cool ocean current, the islands have got a mild and moderate temperature throughout the year. This is why they are often referred to as the Islands of the Eternal Spring. This special location is also the reason why here you can enjoy some of the clearest skies in the world. The two professional observatories in Tenerife and La Palma are the perfect spots to experience stars and rare celestial events up close. 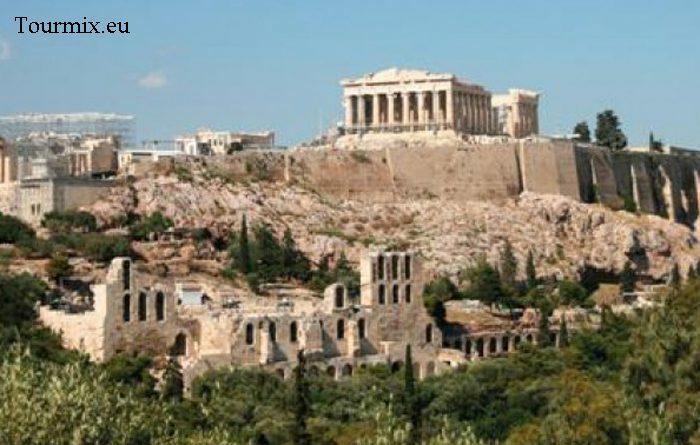 Thanks to the extraordinary climate and unique volcanic landscape they are the ideal holiday destination for relaxation and revitalization. Of course you can also participate in numerous activities, from whale watching and hiking to golf and water parks. Tenerife is the largest island of the Canaries, both in terms of area and population. It is an island full of surprises and a magnificent natural volcanic landscape. The two airports – one in the North and one in the South – ensure an exemplary tourism infrastructure. One of the highlights certainly is the Carnival of Santa Cruz de Tenerife which is held every year in February and considered to be the most well-known and popular carnival besides the one in Rio de Janeiro. It aspires to become a UNECSO World Heritage Site in addition to those already existing on the island: the city San Cristóbal de La Laguna with its charming colonial architecture and the unique Teide National Park. This breathtaking park is located in the middle of the island and centered on Mount Teide, whose summit is the highest elevation of Spain, making it the third biggest volcano worldwide. There is no better place to enjoy a spectacular view than from its peak. Its name derived from the Genovese navigator Lancelotto Malocello and first was called Insula de Lanzarotus Marocelus. Its native language name Tyterogaka, meaning „one that is all ochre“ stands for the island’s predominant colour. Almost a quarter of its territory was transformed into an impressive sea of solidified lava due to eruptions. One of the main attractions undoubtedly is the Timanfaya National Park. Visiting this exceptional park makes you feel like being in a different world. Its territory is entirely made up of volcanic soil and almost no vegetation, with a beautiful blaze of colours from red, orange and ochre to black. Furthermore the numerous geysers inspire tourists from all over the world. It is also a must to visit the Charco de los Clicos, a crater which partially sank into the sea, forming an incredible lagoon with a striking green colour. Gran Canaria, which more of less means „Great Island of Dogs“ probably is the most diverse island of the Canaries. This is the reason why it is often referred to as a „continent in miniature“. 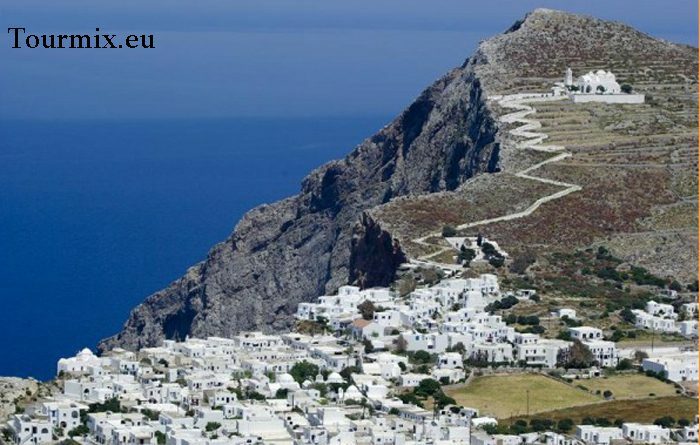 Its great variation of landscape ranges from the fertile green North to rugged mountains and deep canyons in the interior of the island to the desertlike South. Especially the pristine nature in the inland with spectacular rock formations and many lakes reminds you of world-famous national parks, such as in the US. 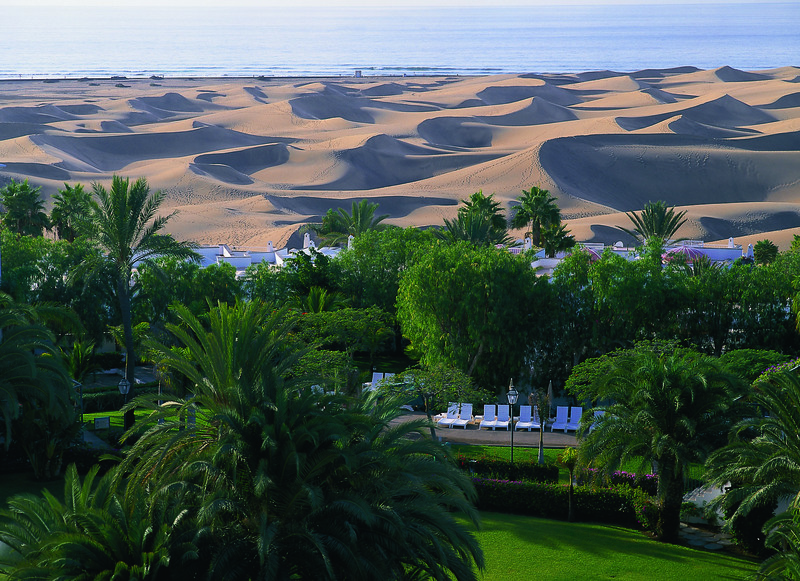 Also worth mentioning is Maspalomas, the oldest tourist town of the island. This seaside resort is popular for its six kilometres of natural sand dunes, stunning beaches and shallow water. The dunes are constantly shaped by the wind, so that they will never look the same. 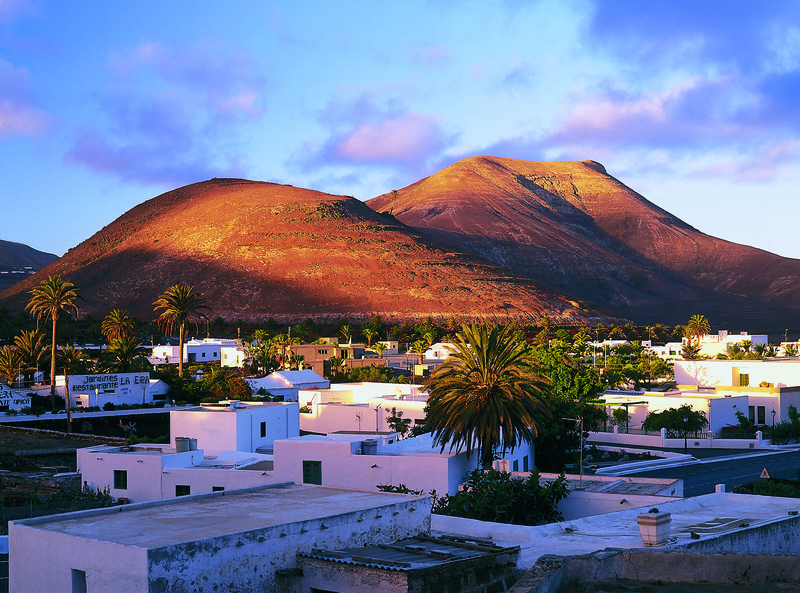 Fuerteventura, which roughly means „Strong Winds“, offers its visitors more than 150 km of fine sandy beaches and sand dunes, more than any other of the islands in this archipelago. It is the closest Canary Island to the African continent, lying only 100 km off the coast. 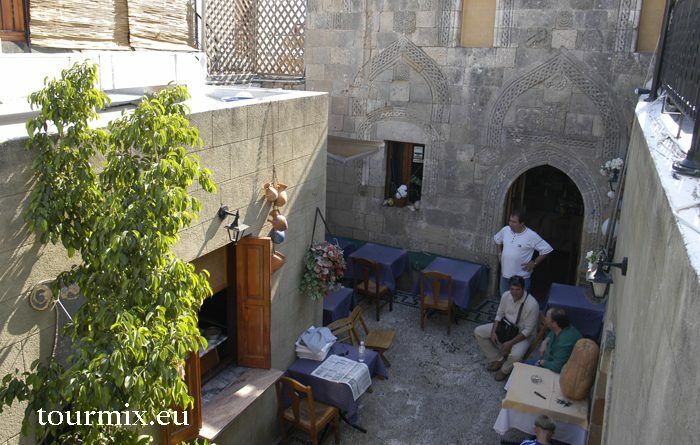 Due to this vicinity you can discover striking similatities, not only in landscape, but also in the North African style of the houses. Its name certainly refers to the high winds and heavy swells which lure kite- and windsurfers from all over the world. Besides also divers get their money’s worth. A trip to its neighbouring island Isla de Lobos definitely is recommendable. This nature reserve is a calm and idyllic refuge for those who just want to relax and explore the endemic flora and fauna. La Palma is the northernmost island in the Canaries and considered to be the most beautiful as well. This has earned her the nickname La Isla Bonita, the „pretty island“. 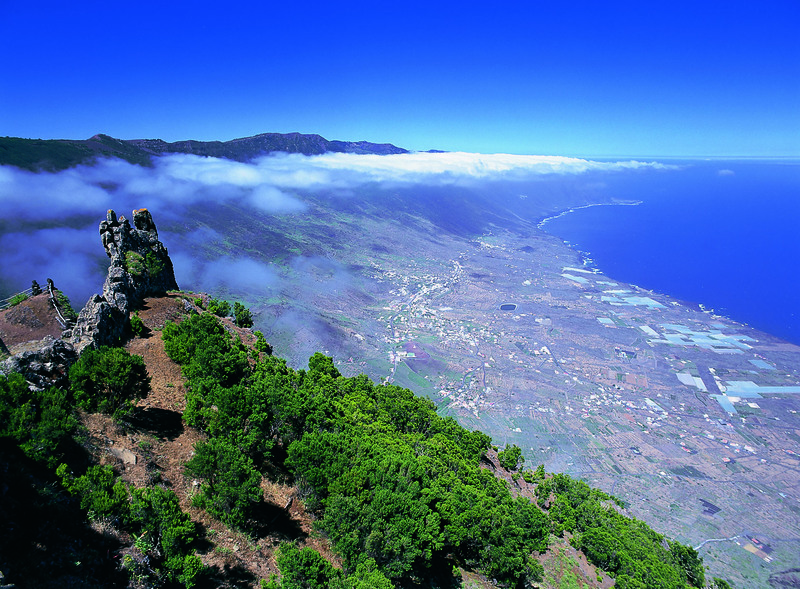 La Palma is rather characterized by green and rural tourism than mass tourism. Therefore, over the years, it has become a gorgeous paradise for independent travellers. Even during high-season you will always be able to find a silent place to enjoy the pristine beauty of the island. It also is the perfect destination for hikers, as there are numerous well marked trails. The astonishing Caldera de Taburiente National Park in the inland is the highlight. Full of breathtaking waterfalls, clear streams and dense pine forests, it almost gives you a feeling of being in a tropical rain forest. 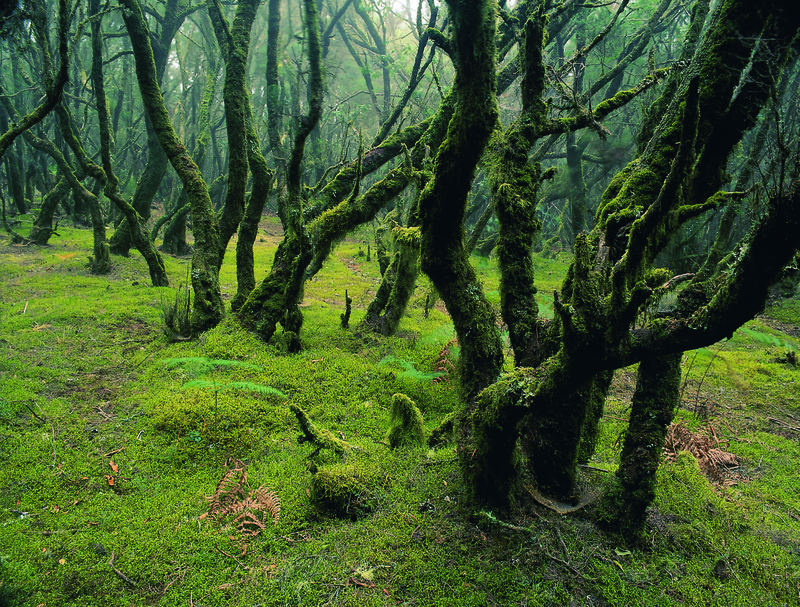 La Gomera is a very old island with about 12 million years of age. One of the island’s highlights is the so called Los Organos, a natural basaltic monument shaped in tubes, which has a striking resemblance with a huge black church organ. Regarding this spectacular volcanic formation during a boat trip, it almost seems as if the sound of the waves is coming from its tubes. The Garajonay National Park, covering one third of the island’s territory, offers one of the most spectacular sceneries you will ever see. El Cedro is an unrivalled forest and a true relic. Its laurels, a prehistoric vegetation, used to grow in the tropics and were only able to survive in La Gomera due to the exceptional climate. Furthermore you will encounter a number of endemic animals, like the La Gomera giant lizard, one of the most endangered species worldwide. El Hierro is an island full of contrasts and it is up to you to decide how you would like to discover its astonishing nature. 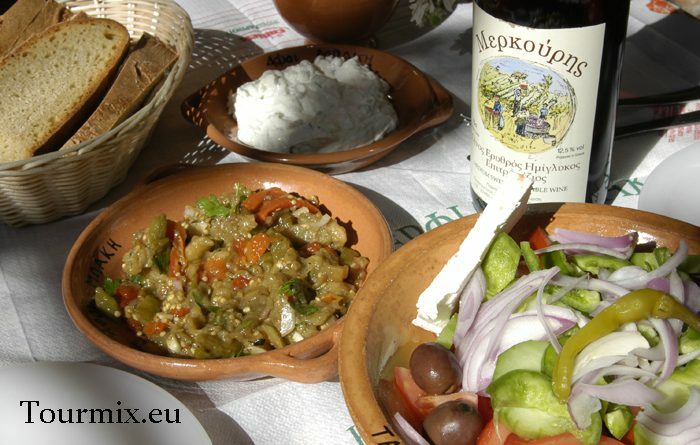 The island has always kept itself away from mass tourism and therefore has a lot of secrets to offer. The La Restinga marine reserve is one of the most dreamlike diving sites worldwide. Here you can explore underwater cliffs, untouched caves and colourful fishes in a unique volcanic environment. Its lush pine forests and incredible coastline invite you for an unforgettable hike. Besides you will encounter numerous natural pools, such as the Charco Azul. 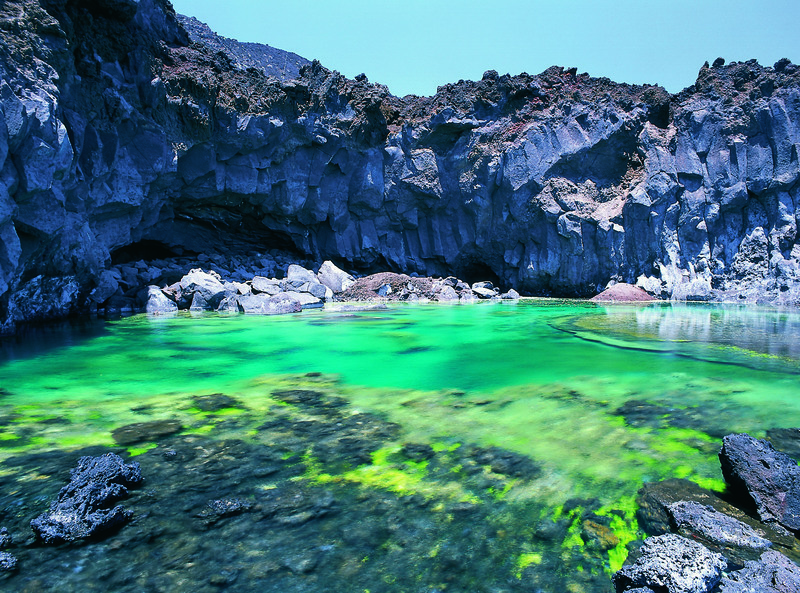 This magical seawater pool is located in the El Golfo valley and easy to access, but nevertheless you can enjoy a tranquil and relaxed bath at any time. The island will become the first one to be completely self-sufficient, using only renewable energy.